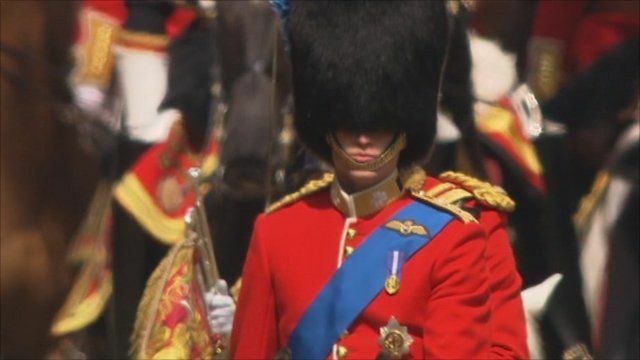 The Duke of Cambridge has helped the Queen celebrate her official birthday by taking part in his first Trooping the Colour parade. Newly married Prince William rode on horseback for the spectacle at Horse Guards in London while the Duchess of Cambridge rode in a horse-drawn carriage with Prince Harry and the Duchess of Cornwall. Later, members of the Royal Family gathered on the balcony at Buckingham Palace to watch a flypast by the RAF.